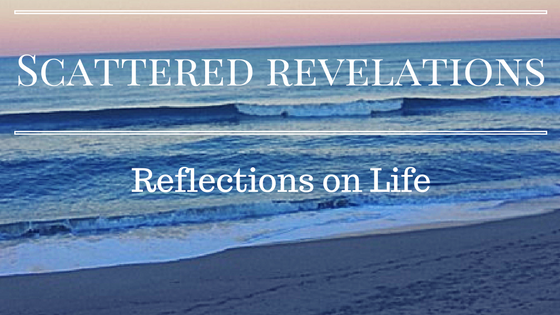 I preached this sermon on Sunday December 14 at the Unitarian Universalist Congregation of the Outer Banks. At this time of shortening days and long nights, we are blessed with an abundance of celebrations of light – Advent, Hanukkah, Solstice, Kwanza. All of them put at the center the lighting of candles – to remember, to acknowledge and to celebrate both the darkness and the light. While these festivals share the lighting of the candles over a period of days, 4 weeks for Advent, 8 nights of Hanukkah and 7 nights of Kwanza, each has its own story and context. Hannukah celebrates the Maccabees victory over the Greeks who had forced the Jewish people to denounce their religion, to worship the Greek Gods and banned all Jewish festivals including Shabbat. The Greeks had turned the Jewish temple into a temple for Zeus. The Maccabees refused to follow the Greek laws and waged a rebellion. The first miracle of Hanukkah is that the small group of Maccabees were successful in their revolt against the Greek. 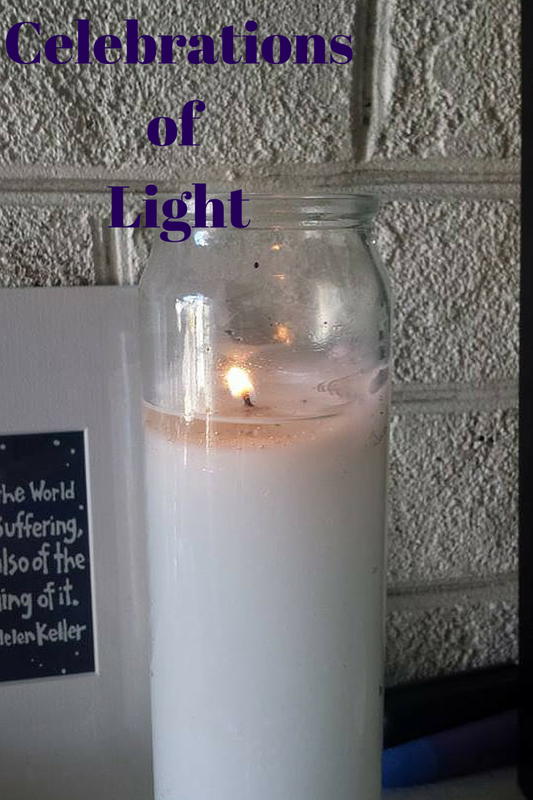 The second miracle is the one we are more familiar with – the oil used for the eternal light – a symbol still in use in Jewish congregations today, lasted for 8 days rather than just the 1 day it should have. The celebration for Hanukkah is found not in the Torah, psalms or other portions of the Hebrew Bible but rather in the Talmud. It is also associated, as many Jewish holidays are, with specific foods – namely fried food. Latkes or fried potatoes is one at least I grew up knowing about and just last year I learned that fried, jelly filled donuts are a traditional food in Israel. It is a story of the celebration of freedom after overcoming one’s oppressors. It is refusing to sacrifice one’s faith and identity to the will of the majority. It is a reminder that the freedom to worship and believe as one chooses for many has been challenging and a hard won fight. Even here in a country where we affirm the basic right to worship or not as one chooses we know that we as Americans have not always lived up to assuring that fundamental freedom. All too often some want freedom of religion to mean only their religion. Advent does not so much mark the actual event of Jesus’ birth but rather is a season of hopeful anticipation leading to Christmas. Christmas is actually a 12 day holiday in the Christian calendar. Advent is a joyful, hope-filled season. This reading from Isaiah, which in Christianity is interpreted as foretelling the coming of Jesus as the Messiah, in which the people are longing for a Messiah to deliver them, to save them. On this third Sunday of Advent, as the joyous occasion of Jesus’ birth is getting closer, a pink candle is lit for joy. The questions for advent are about what are you waiting and hoping for; for what does your soul yearn. This season of preparation in the Christian tradition is not about shopping for presents or putting up the tree, rather it is a preparation of the spirit, a time of joyful meditation and reflection of hope; of the light shining in the darkness. Kwanza is the newest of these December holidays. It is an African American holiday which celebrates family, community and culture. Each day a candle is lit to represents a different principle inspired by a communitarian African philosophy. These principles of unity, self determination, collective work and responsibility, cooperative economics, purpose, creativity and faith are rooted in freedom, pride in African American identity and culture and a call to live the best life one can live. All of these celebrations are dated around the winter solstice. It may be easy now with our electric lights to forget how dark winter was and how frightening. There were no crops to harvest, one had to hope that enough had been stored away to last through the cold, long winter. In fact, in Latin … ‘Solstice means the sun standing still.’ As the days got shorter and there was less and less light, it makes sense that people would want to find ways to remember, to entice and to welcome back the light. After all the solstice marks the turning of the year, after the solstice, once again the days grow longer and while many months of winter remain, the days will be brighter and longer reminding us that spring and summer will once again return. It is critical for as Unitarian Universalists, to be mindful of the ways we think about and acknowledge these various celebrations. It is important to remember the stories and history that come with these celebrations. For example, do we as predominately white congregation find it appropriate to light the Kwanza candles that celebrate the hard earned, not yet over fight for equality and freedom of African Americans? It is critical that we not just pull out the parts of these holidays we like and ignore the stories. Rather our quest is for deeper understanding and connection. So what are we yearning for in this season of light and darkness? What seeds are planted deep within in the darkness waiting to take root and burst forth? Today where do we find those who cannot believe and worship in their own way even here in this country where we celebrate religious freedom and tolerance? Where are people fighting for the freedom to worship as they please? What are the limits of our collective religious tolerance? As the Jewish people remember and mark the freedom over the oppression of the Greeks and reclaiming of their sacred space, are we in our own lives respecting the beliefs and worship space of others? As we reflect on these celebrations of light we can think about what they have to teach us, to share with us which knowing that they call us into a deeper understanding of these traditions. Our third source states that our living tradition draws on “Wisdom from the world’s religions which inspire us in our ethical and spiritual life” and our fourth source states “Jewish and Christian teachings which call us to respond to God’s love by loving our neighbors as ourselves” so what wisdom are we gaining? One of the draws for me to Unitarian Universalism was this inclusivity of the world’s religions including an equality of sacred texts. For me, it is yearning to understand, to be informed, to seek wisdom. The challenge is to do so with respect of the traditions and people whose religions these are. It is to be a respectful visitor and learner, the pilgrim who humbles herself to listen and to seek to understand rather than to be understood. So as we read the text from Isaiah of a people crying out for comfort, for deliverance, we ask how are we making a pathway for justice, for peace? How are we preparing not just our homes, but our hearts this holiday season? How will you celebrate? What are your most cherished traditions – spiritual and secular? For me I love sitting in the living room with all the lights out except those on the tree; the small lights of the tree illuminating the darkness. I love our family baking traditions of sugar cookies, fudge and usually a few new items to try. For me the holidays are about being with my family, welcoming back the light and reflecting on the year that is coming to a close. I know that yearning for a smooth, clear path as one year closes and another begins. I know that darkness can seem overwhelming and to be searching for that one small light to keep hope burning. What is it you are hoping for in this season of darkness and light? What are your favorite traditions? Will you put up a tree? Light the menorah? Eat latkes? What candles are you lighting? How are you honoring the communities and cultures of which you are a part this season? Make a point of sharing your stories and traditions with others in our community. As a community we lift up and celebrate the diversity of traditions here – Jewish, Christian, pagan, humanist. We seek deeper wisdom and understanding. We come together in recognition of our common search for meaning and for truth. So however you celebrate this December, may it be filled with love, joy and wisdom.